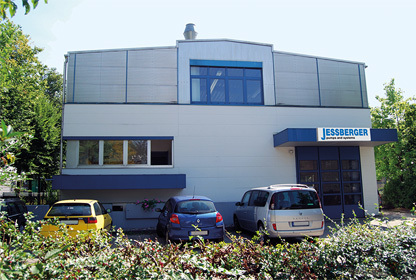 Since March 2008, we have our headquarter in Ottobrunn, Bavaria. We already deliver to more than 70 countries worldwide. Since March 2011, we also have a location in Upper Bavarian Waldkraiburg, where employees with decades of experience in the eccentric screw pumps field are concerned with the design, construction and production of these series as well as the continuous expansion of the program range. Ottobrunn is located 13 km south-east near Munich, directly on the A 99 and A 8 motorways. Ottobrunn is connected to the rise of Bavaria to the European center of aerospace technology. In particular MBB (Messerschmitt-Bölkow-Blohm) and the resulting company EADS (European Aeronautic Defense and Space Company) as well as the IABG are related worldwide with our location. In addition to numerous smaller trading companies, tradesmen and industrial companies, there are also bases of the world famous companies Bosch or Siemens settled in Ottobrunn and the surrounding area. Located at the hub between the airport, the alpine foreland and the state capital Munich, Ottobrunn is one of the most attractive business addresses in Germany thanks to its favorable location. With the motorways A 8 and A 99 Ottobrunn is very well connected to the motorway network. Munich city center, Franz-Josef-Strauß airport and the exhibition center in Munich-Riem can be easy reached from here. Ottobrunn combines the advantages of the proximity to the city of Munich with the quality of live of a garden city. With its numerous leisure opportunities and the proximity to the Bavarian state capital as well as the Bavarian lakes or the alps, Ottobrunn is a very attractive and therefore the ideal location for us. Ottobrunn is one of the most densely populated communities in Germany. Our head office can easily be approached by car from the highways Salzburg and Nuremberg (both A 99, exit Ottobrunn) and Munich (A 8, exit Unterhaching East). The Munich airport is only half an hour away from us. You can reach us from there on the A92 coming from the direction of Deggendorf, then turn on the A 9 to Munich and chane at junction “München Nord to the A99 in direction Salzburg (exit Ottobrunn). From Munich Central Station you can also use the public transportation: you will need about 25 minutes with S–Bahn S 7 (train station Neubiberg) or with the underground train U–Bahn U5 to Neuperlach South and then with the bus (No. 210) to Ottobrunn. If you have any questions or if we can pick you up somewhere just call us at the phone number 00049 89 66 66 33 400.